I read somewhere that Americans comsume more calories on Super Bowl Sunday than they do any other day of the year, aside from Thanksgiving. I don’t find that hard to believe, since most game-day fare is either fried (wings, jalapeno poppers, potato skins, mozzarella sticks, chips) or dripping in cheese (nachos, queso, Philly cheesesteaks, pizza). And then there’s mayonnaise-laden dips for those wings and chips and even the semi-virtuous vegetable platter. It also goes without saying that plenty of calories come from that game-day necessity: beer! And you know what? That’s okay. One Sunday of indulgence a year isn’t going to kill anyone. 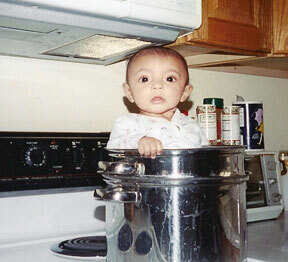 I’m not here to squash your Super Bowl groove. I’m a mean-spirited shrew sometimes, but I’m not a monster. Now it is true that my husband is far more interested in college football than the NFL; that’s no contest. Still, skipping the Super Bowl altogether is a little unusual, even for him. I have a sneaking suspicion that he’s just not interested because he fears it’s going to be yet another episode of the Tom Brady Show, which he (and 99% of the rest of America, I reckon) is beginning to find repetitive and rather anti-climactic. That reasoning is perfectly understandable to me. Sorry New Englanders–lots of us are sick of your team. Some years, when we have a favorite team to root for, it’s been fun to base the menu around the teams playing. I’m always wicked excited when the Saints are in the Super Bowl because that gives me an excuse to cook up a big vat of gumbo. Viva la Gumbo! In that regard, this year isn’t much of a loss because I don’t like Philly cheesesteaks (I know, I know, so shoot me) and while I do enjoy a nice bowl of chowder, it’s not really my idea of game-day fare. The only must-have for me on the day of the big game is a bathtub-sized bowl of homemade pico de gallo. It must be homemade and it must take me hours of cursing and chopping (and usually slicing a finger…right before I need to squeeze limes). I don’t even need guacamole. Give Mama the pico, and she’s a happy girl. Will I make it this year? I might not be cooking up a big spread, but if you are, I thought I’d leave a few links for you with some festive and yummy options that aren’t quite so lethal. In case you’re into that kind of thing. Alternatively, you can make some of these things and then go ahead and scarf down nachos and cheesesteaks too because it’s America’s February Foodfest, and you’re allowed to enjoy it. 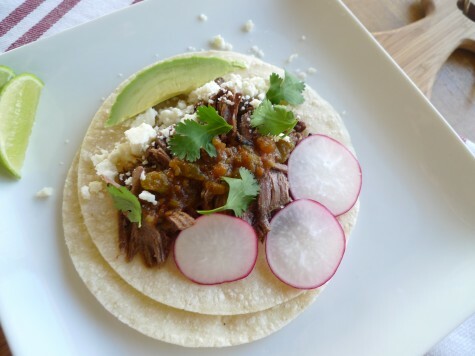 I love a good Mexican-inspired menu on game day, and if you’re also leaning that way, here’s some tasty ideas. 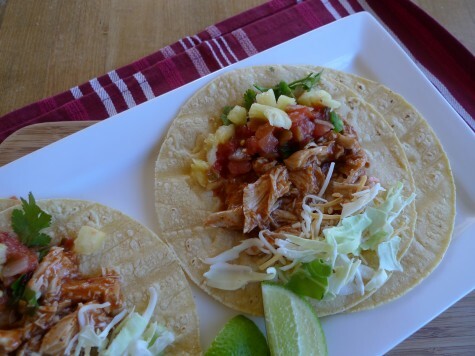 Chicken Tinga Tacos have a fun pineapple salsa to go with them. You could also make Beef Carnitas if you have a little more time for prep. 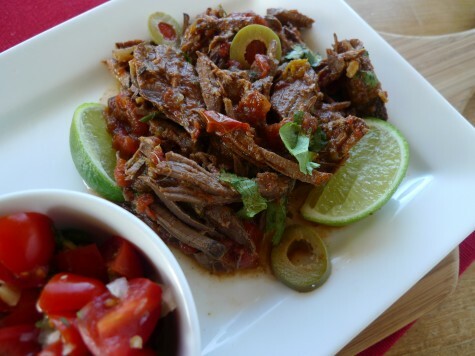 Or this slow-cooked Ropa Vieja that’s just about heaven on Earth. 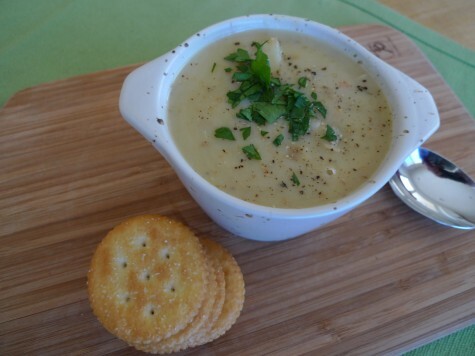 If you’re a die-hard Patriots fan, you could make this pretty darn tasty (and healthy) version of New England Clam Chowder. 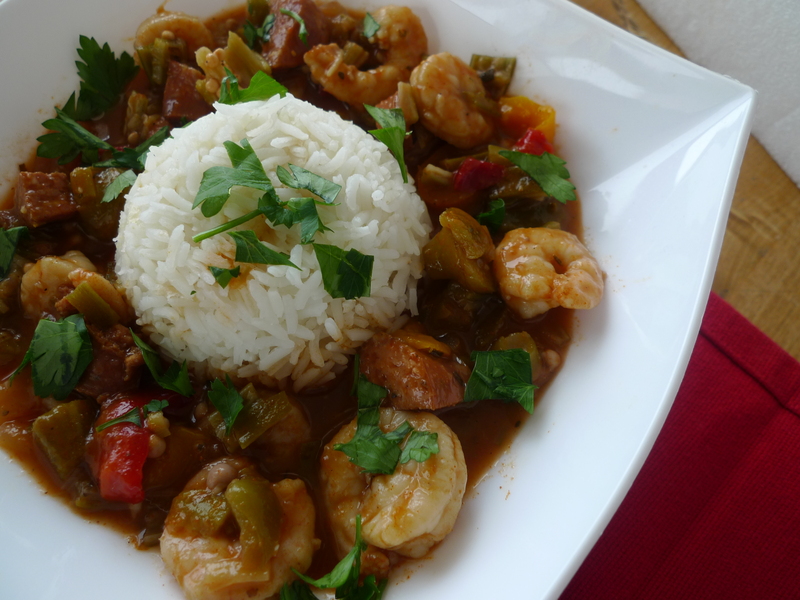 Or if you’re a gumbo addict like me, go for it. 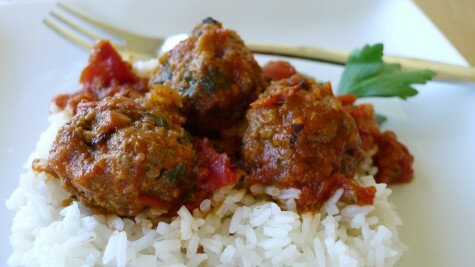 Or maybe you’re feeling like spicy meatballs? Whatever you decide for your main dish, don’t forget the pico. 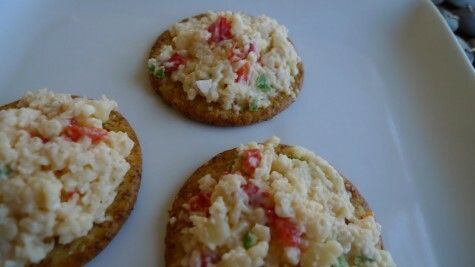 Or if you’re not up for chopping pounds of tomatoes, there’s always crack cheese. Awww, man. Crack cheese. I may just have to make something this weekend after all! ps: Go Eagles! I may not like your cheesesteaks, but I’m pulling for Philly no matter what. Hope you watched the game! Or….just sat and read a good book and munched on pico! Dawn, we thought we’d just have the game on in the background and do other things–but then we got sucked in! GREAT game! Next post: Why Valentine When It’s Year of the Dog?